[T]hose believers who are not convinced of the deep corruption of their hearts, or but slightly and, as it were, notionally convinced, have little concern about entire sanctification. … they have no great uneasiness for the want of it and no great hunger or thirst after it. They cannot, until they know themselves better, until they repent … until God unveils the inbred monster’s face, and shows them the real state of their souls. Then only, when they feel the burden, will they groan for deliverance from it. The church is full of people who have taken the first step of justification and stalled. They confess Jesus Christ as Lord and Savior, but week after week and year after year an outsider would see little difference in their lives compared to next door neighbors who sleep in on Sunday morning. They drift along, perhaps savoring the memory of a powerful conversion experience. 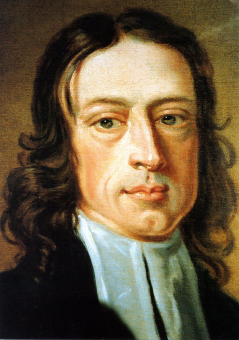 John Wesley wrote that this was a result of confusing justification with sanctification. It was the result of thinking that once we are born anew we are done with grace. But as the image of birth suggests, we are not born fully formed in Christ. We are born as babes in Christ. We have only begun to grow into what God would have us be. At least part of the cause of this state of affairs, Wesley wrote, was a weak understanding of our own inward corruption. We are much too easily persuaded that we are not really in need of saving. We fall prey to the smooth words that tell us we are not that bad. We look around and see many people who are more wicked than we are. Why should we get so worked up about it? Here is what John Wesley says. In my soul, I am a monster. I don’t like typing that. I don’t like reading it. I certainly would not like having a pastor preach that to me. But the entire Wesleyan theological framework is built on this foundation. The doctrine of Original Sin is important for Wesleyan theology not because we need to be literalists about Eden, but because we believe it best describes the state of our hearts. We are inclined toward evil. In the absence of social restraint and God’s grace, we would live in open wickedness. The monsters would come out. This claim is what gives shape to the rest of Wesleyan theology. Because we are corrupt, we need a savior. Our pardon before God is the new birth of our souls. The perfection of love is the final goal of our salvation. Original sin. New birth. Holiness. This is the framework into which all of Wesley’s theology fits. If we ignore or discard these three doctrines, we might as well toss out all that Wesley wrote. More importantly, if Wesley is any guide, one of the reasons that our churches are so over run with nominal Christians with no desire to be better Christians is because they have never come to terms with the blackness of their own souls. Indeed, we often feed this ignorance by patting them on the back and paying them easy compliments. More often then not, we don’t have to get to the parking lot before we are talking about how we really feel. The Sunday morning brunch is often served up under the sharp knives of our criticism on the drive home. We have no problem detecting the darkness in the souls of others. But we are looking in the wrong place. I am the monster. It is my soul that is stained with darkness. It is my heart that is in love with the night. If we could tolerate hearing that, maybe we would have more repentance and more holiness among us. Posted on May 16, 2011 May 17, 2011 by John MeunierPosted in Doctrine, Grace, Holiness, Justification, MethodismTagged john wesley, Original sin.